✻ T u m b l e d S T O N E S ✻ SERAPHINITE~ Beautiful large tumbled Seraphinite. 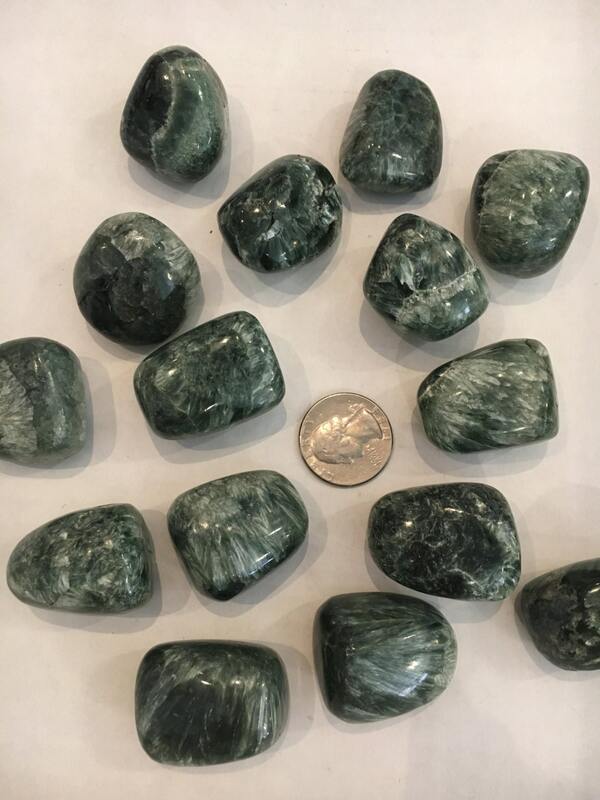 Seraphinite promotes self-healing. Guides in angelic connection. Aids in releasing emotional energies that no longer serve. Brings enlightening, joyful energy to the emotional body and stimulates the flow and elasticity of one's energy. O r i g i n: Siberia.